Online registration opens on May 1st for students who attend a public school in West Vancouver. Online registration opens on May 8th for students who do not attend a public school in West Vancouver. The student’s nine digit Personal Education Number (PEN) is required in order to complete the registration form accurately. If this number does not appear on the report card, please contact your child’s school office. All courses and sections are subject to enrolment and Board approval. Students are offered places on a first-come, first-served basis. Late registrants for oversubscribed courses will be placed on a waitlist and will be notified by email if space becomes available. you have provided an accurate email address. On each of those dates courses will be designated as Running, Pending, or Cancelled. The BC Ministry of Education provides funding for eligible residents of British Columbia only. International fee-paying, and graduated students (June 2018 and earlier) must pay a fee for all courses. The list of fees is available in the Fees and Policies section of this web site. Extended absences for any reason are not accommodated. These include, but are not limited to work, vacations, sporting events, games or practices, family commitments, or music festivals. Absences beyond two days may result in the student being removed from the course. Students should not register for a summer learning course if they are unable to commit to full-time attendance. Two days of late attendance are equivalent to one absence. Opens on May 1st, 2019 at 8 AM for all West Vancouver School students. Students who have completed any grade between Kindergarten and grade 6 by June 30th, 2019 are eligible for the Elementary Summer Learning programs. Parents/Guardians are kindly requested to register their children ONLY if they can attend full-time for the duration of the course. All courses are subject to enrolment and Board approval. Students will be enrolled in courses based upon their registration date. Late registrants for oversubscribed courses will be placed on a waitlist and emailed if space becomes available. Courses with insufficient enrolment will be cancelled and all registrants will be notified by email to the Parent/Guardian main contact email address. 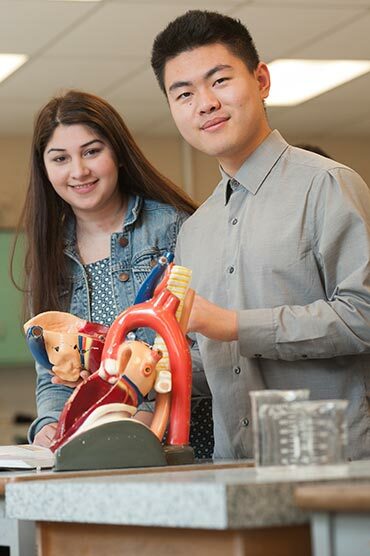 Students who have completed any grade between grade 7 and 12 by June 30, 2019 are eligible for the Secondary Summer Learning courses. *Please note that Completion Courses are ONLY available to students who are currently attending École Sentinel Secondary, Inglewood Secondary, Rockridge Secondary, or West Vancouver Secondary. Course offerings are subject to change or cancellation, depending upon enrolment. Courses with insufficient enrolment will be cancelled. Cancellation notifications will be sent to the Parent/Guardian main contact email address. On each of those dates, courses will be designated as Running, Pending, or Cancelled.